Jack Mitchell put the #24 Macmillan AMR Aston Martin on pole position for Sunday’s first British GT race at Snetterton, leaving him and co-driver James Littlejohn well placed to repeat or improve on their third-place finish last time out at Rockingham. 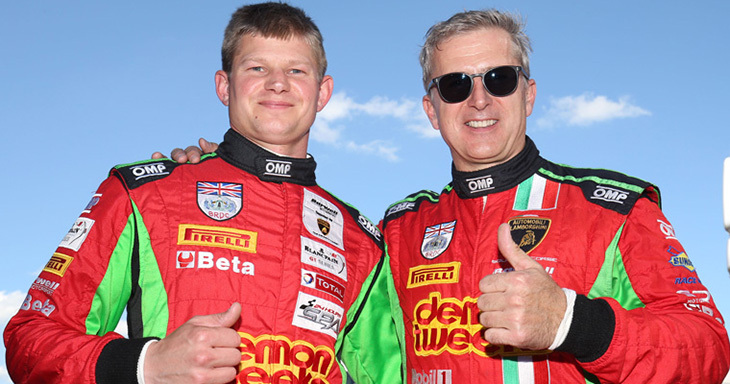 Mitchell qualified ahead of championship leader Jon Minshaw in the #33 Barwell/Demon Tweeks Lamborghini, while Rick Parfitt put the #31 Team Parker Bentley in third, lining up alongside Liam Griffin in the other Barwell Lamborghini. 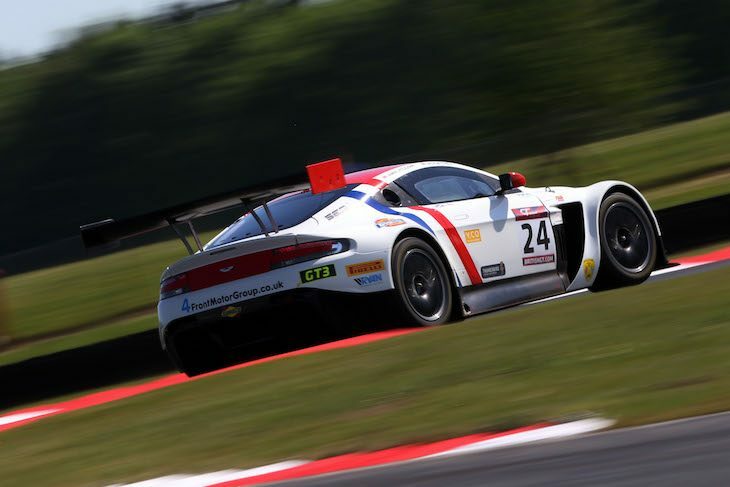 TF Sport’s Mark Farmer qualified his Aston Martin fifth, while Lee Mowle will be happy with sixth on the grid after the technical issues in FP2 for the AmD Tuning Mercedes. As in free practice, the field had no answer for Phil Keen’s pace in the second part of qualifying, which saw each car’s pro driver set its grid position for the second of Sunday’s two one-hour races. Minshaw’s co-driver had pole in the bag with a lap of 1:47.386, but went very slightly faster (a 47.332) towards the end of the session to underline his position. Second-fastest pro qualifier was Sam Tordoff, making it a Barwell Lamborghini 1-2 for race two. Reigning champion Jonny Adam was third, ahead of Seb Morris with another strong qualifying result for the #31 Bentley. Matt Griffin put the Spirit Of Race Ferrari fifth on the grid, while Calum Macleod will line up sixth in the other Team Parker Bentley. As in GT3, two different marques shared the pole positions up for grabs on Saturday, with Alex Reed putting the Lanan Ginetta on top for race one and Joe Osborne going fastest in the second part of qualifying in the Tolman McLaren. Rockingham race winners Will Tregurtha and Stuart Middleton (HHC Ginetta) will start race one from second on the grid thanks to the former driver’s efforts, while the third-place grid slot will be occupied by the Black Bull/Garage 59 McLaren, qualified in this session by Sandy Mitchell. For race two, the GT4 front row is again completed by the HHC car, this time qualified by Middleton, and the Black Bull McLaren, qualified by Mitchell’s co-driver Ciaran Haggerty in the second part of the session.